Robert is available upon request for training. Whether you wish to reach the upper levels in the competition arena or want to improve your shooting skills for personal defense, he has something for you. For more information or questions on training with Robert please contact him with the following information. Open enrollment courses include World Class Pistol Skills and variations of Competitive Pistol in the disciplines of IDPA,USPSA and IPSC. 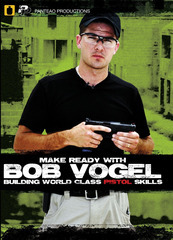 Robert also has a Practical Pistol Applications course that is designed specifically for LE and Military units. If you can make it happen a private class is definitely the way to go! 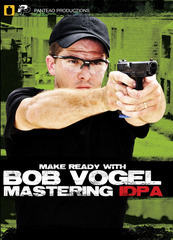 Pingback: AAR – Bob Vogel’s Practical Pistol Class – South Hill, VA | When the Balloon Goes Up!